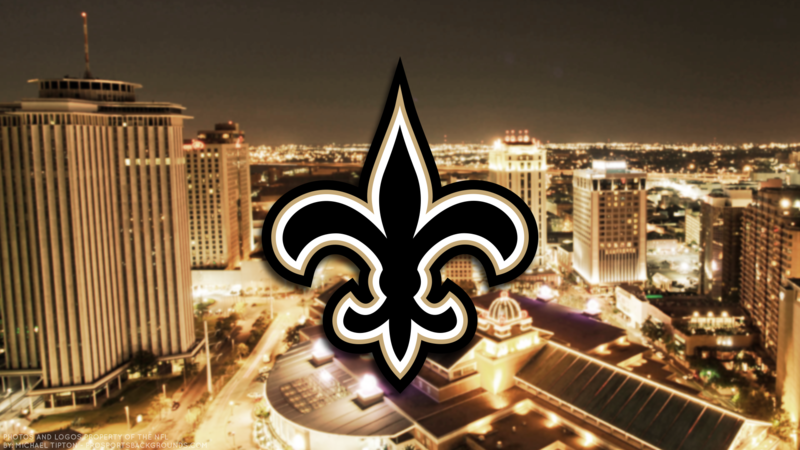 For as long as I can remember, I’ve been a New Orleans Saints fan. Seriously, my earliest memories of football…any football…are of the New Orleans Saints on Sunday afternoon, usually at my Grandmother’s house. I love me some Saints football. That’s one reason I’m heartbroken this week. The Saints played in the NFC Conference Championship game on Sunday afternoon and were robbed (yes, robbed) of the chance to play in the Super Bowl on February 3rd. 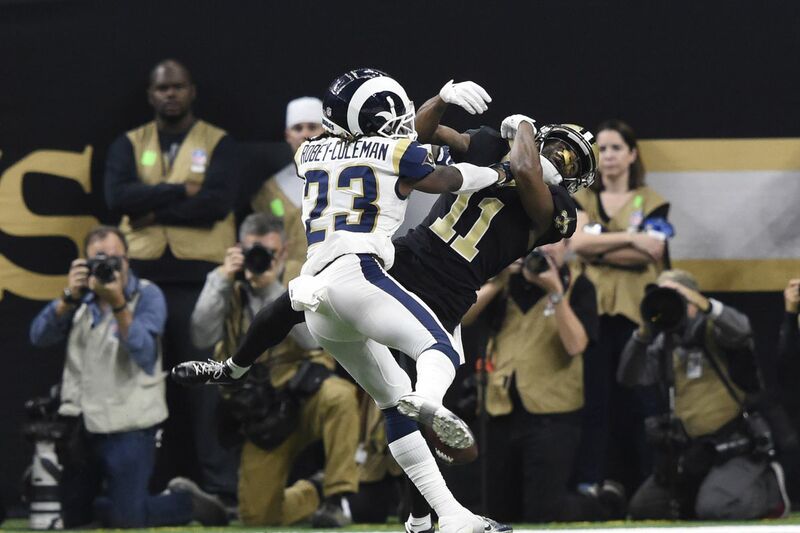 There was a horrible no-call pass interference penalty late in the fourth quarter that most likely would have ended the game with a New Orleans walk-off field goal. 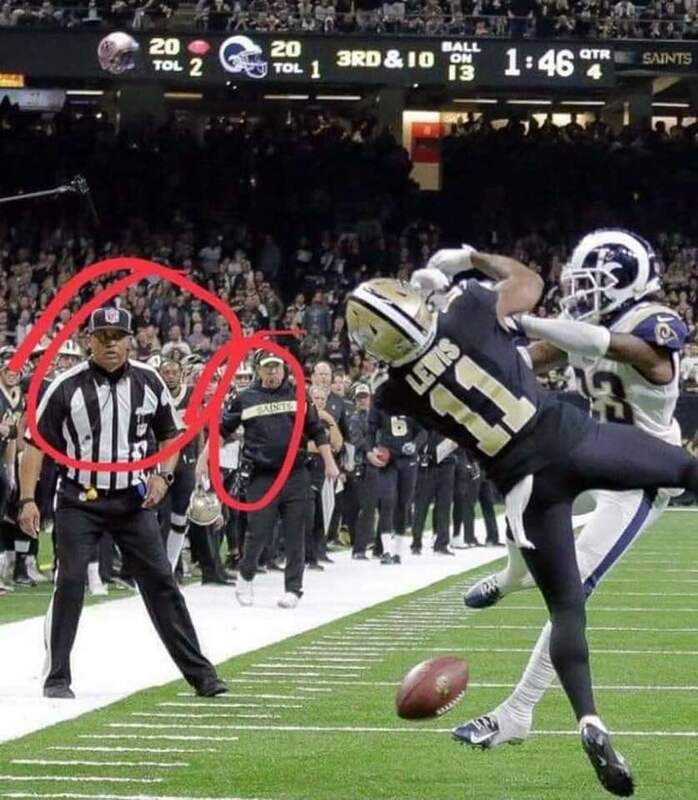 Anyone but the most avid Los Angeles Rams fan would agree the non-call was egregious (check here and here), but that fact doesn’t change the result of the game: LA Rams 26, NO Saints 23! Here’s my confession: I take the New Orleans Saints too seriously. After all, it’s just a game, and in the grand scheme of eternity, no one will care 100 years from now about a non-call in a football game in 2019. I should probably repent of the overzealous, in-the-moment Facebook posts that are usually scathing rebukes of Sean Payton‘s (the Saints head coach) play-calling, Drew Brees’ (the Saints quarterback) decision-making, or the officials questionable officiating. So, there is my mea culpa. I don’t suspect there will be one coming from the NFL Corporate Office in New York City, though. Now that I’ve had a little time to reflect on the events of this past Sunday, there are a few lessons I’ve learned that I feel like I should share. First, it’s just a game. When did 22 men running around on a field tossing a ball earning millions of dollars for doing so become so important to me? When did it become so important to our culture? I know it says something about my priorities when I bend over backwards to insure that I’m home sitting in front of the television whenever the Saints are playing. I can’t imagine why I let professional football have such control over my life, my temperament and my emotions. Some of those guys do a lot of good with the money they earn for playing a game (and I appreciate those who do), but they don’t know me (and never will), and yet I choose to surrender control of my life to their escapades for three hours every week. That’s a reflection on me, not on them. It’s just a game, with no eternal significance. Second, I learned that there are some things in life we just can’t control. Drew Brees said it best in his post-game conversation: “I prefer to look at the things that are in my control.” There is a little “control freak” in all of us (I like to think I’m not the only one) that tries to control every situation and person in life. Life doesn’t always turn out the way we hope or imagine. Instead of spending time worrying about the things we can’t control, it’s best to utilize our time controlling those things we can control. What could I do to make this situation better or different? What decisions could I have made differently? What did I do wrong that led to this outcome? What opportunities did I miss because I was otherwise distracted? It’s wasted energy to spend time contemplating the “what-if’s” of life. Third, I am reminded that life is simply not fair. Yes, the Saints were robbed. No, it’s not fair. Now, get over it. Life is not fair. Deal with it. The Apostle Paul had first hand experience with the injustice of life. While in the city of Philippi on his second missionary journey, Paul and his traveling companion, Silas, were beaten and arrested for casting an evil spirit out of a young slave girl. There was nothing just about their treatment at the hands of the Philippians. What did Paul and Silas choose to do? They dealt with it. They went to prison. They sang praises at midnight. They refused to let their circumstances dictate their attitude. Certainly don’t read that to mean that we shouldn’t fight injustice as long as we’re able. Even in our fighting, though, we’ll discover that life will not always deal fairly with us. Life being unfair with us does not mean that we do not seek justice on behalf of others. Finally, I learn that everyone makes mistakes. The two officials who could have (should have) made that call failed to do so. Some think it was a conspiracy (part of me wants to believe it), but it was probably just one of those moments when a choice was made and it turned out to be the wrong choice. That’s NEVER happened to me! Actually, it happens to me more times than I care to admit. Because it happens to me more times than I care to admit, I am reminded of my desperate need for grace and forgiveness. I am grateful for a Savior who loves me and offers himself for my forgiveness in those times I fall short. None of us are above making mistakes, and none of us are out of the reach of God’s grace. I’ll extend that same grace to those officials who made a mistake (a doozy, for sure). I’m certain those officials feared for their safety as they left the Superdome Sunday evening. No one deserves to live in fear because of their mistakes. Not you. Not me. Not them. I’m very grateful for the gift of grace. I’m sure there are more lessons I could learn if I contemplated the situation some more, but then I’d just get upset by thinking about it. I think it’s time to move on, and so I shall. Hope you do, too. Move on from whatever mistake is dominating your life…move on from whatever circumstance is controlling your attitude, temperament and emotions…just, move on. Don’t be bound by chains of unforgiveness. Live in God’s gracious embrace. Oh, and I almost forgot, Geaux Saints! Apparently, I should have chosen to be “more” controversial during my self-proclaimed “Year of More.” One of the neat things about writing a blog is metrics. WordPress tells me how many people have viewed my blog, what pages they’ve clicked on, what countries they viewed from, and so on. It’s really pretty cool. Here’s the metric I find most interesting: the blogs with the most views and the most clicks are ones that deal with more controversial topics. The more controversial the topic, or at least if I can come up with a “click bait” headline, the more views the blog receives. I’ll be anxious to see the number of clicks the headline to this blog generates. There are certainly plenty of topics to write about when it comes to controversy. Our world is becoming more polarized (well, at least in the good ole’ US of A), and this polarization makes every subject controversial. 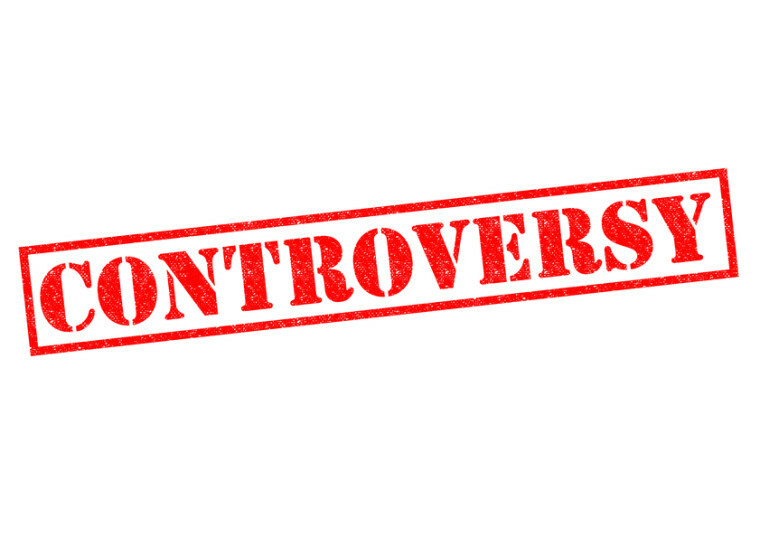 I bet you (if I was a betting man) that my article on controversy has the potential of being controversial. Seriously, people have sparked controversy by saying or doing something that when the person said or did whatever it was, had no intention of sparking controversy. Yet, someone got offended by what the person said or did, so controversy arose. Civil discourse has ground to a halt in our culture. Oh! There’s discourse. It’s just that none of it is very civil. There is controversy in the political realm. If I wanted to create a firestorm of controversy, I would say that I voted for Donald Trump in the 2016 election. I might have to close my comments section and delete the post from Facebook because of the responses I would likely receive. The problem is that I could conversely say that I voted for Hillary Clinton and get the same vitriolic response, except those responses would come from different people. No, I’m not going to tell you who I voted for in 2016. Suffice it to say that I held my nose while I voted, and that’s as controversial as I’ll get in that regard. There is controversy in the cultural realm. Let’s see…I could do a Google search of the most controversial topics for 2019 and find abortion topping the list. I’m pro-life, just so you know (and that’ll stir no little amount of controversy, I’m sure). Of course, even Google has become somewhat controversial as there have been recent concerns about privacy issues (Google is now “Big Brother”), spying, censorship, tax avoidance, sexism and racism. I suppose I should stay off Google, but really, how does anyone stay off Google? Other topics on the “controversial” list are gay marriage, gender identity, LGBT (I know, I’m leaving out some letters, which in and of itself is controversial) adoption rights, Planned Parenthood funding, women in combat, the First Amendment, the Second Amendment, the Confederate flag, and the death penalty. I could go on, but you get the picture—our culture abounds with controversy, and following the debate on any issue on Youtube is like falling in a deep, dark hole (be careful…Youtube is owned by Google!). The debates in larger culture have made their way into the church, too. Controversy in the church? Oh! My! Our denomination (the United Methodist Church) is currently embroiled in a debate concerning same-gender marriage and the ordination of homosexuals. We are divided (almost as equally as the broader culture) on these issues (read my position here), and the debates have been ugly at times. These ugly debates have taken place amidst calls for “unity,” which interestingly enough, has become its own controversial topic. There is one place, though, where I will choose to be ardently controversial—the power of Jesus Christ to change a life. I will continue to proclaim that Jesus is the Way, the Truth and the Life, and that no one comes to the Father except through him. Yes, even those simple proclamations are controversial and I may have to close my comments, but so be it. I really don’t mean to be controversial. I really don’t mean to offend. But, if believing Jesus Christ is King of kings and Lord of lords, then call me controversial. I only ask that you do it in a civil way. How might I become “more” Christ-like in 2019? Jesus centered his life in Scripture. He answered the temptations of Satan by the power of Scripture, and he began his earthly ministry moving out of Galilee into Capernaum in fulfillment of Scripture. Throughout the Gospels, Jesus life and words pointed to the fulfillment of Scripture. Scripture is at the heart of spiritual growth. If we desire to hear God’s voice clearest and loudest, it will be through God’s Word, the Bible. We can live a more centered in Scripture as we worship, participate in group Bible studies, and spend personal devotional time with the Bible. Of course, being more centered will cause me to be still more, which was my first resolution, so maybe I’m on the right track after all. Jesus began his earthly ministry with a call to repentance. Repentance is a call to change our minds about sin—literally to do a 180. I’m not sure my greatest sin is pride, but it’s up there on the list. Probably topping the list is selfishness. Every other challenge to my desire to be more Christ-like flows out of that innate proclivity for wanting my own way. Repentance that is meaningful repentance is more than a changed mind. I think it is a changed mind that leads to changed actions. I also think it not a one-time thing. Repentance is an on-going process…at least it is in my life. Jesus invited his first disciples to be connected to him, and to one another. We are connected to Christ most fully when we are connected to his body, the Church. And, we become more Christ-like the more we are connected to his body. Unfortunately, it’s hard for pastors to make friends in the body. Ron Edmondson has written about that here. It doesn’t change the fact that I need more connection. I think about Jesus’ first disciples who, when called by Jesus, left their nets and their tax-collecting table immediately and followed him. Am I as committed as those first disciples? Am I willing to drop everything…even the pastorate (the source of my livelihood)…to follow his calling? Seriously, what would I do if Jesus walked into my office today and said, “Come, follow me”? I’d probably say, “I thought I was following you.” Just the idea of that conversation frightens me and causes me to reflect on my commitment of Jesus. One of the most challenging books I’ve read recently (or ever) is Francis Chan’s Letters to the Church. Here’s a video describing the book’s premise. Chan’s book caused me to question so many assumptions about “church,” but it also helped renew my commitment to it…and to Jesus. To be consecrated is to be “set apart for special service.” Jesus consecrated his life for preaching, teaching and healing knowing that it would lead ultimately to the cross. His consecration led to his sacrifice. How is my life set apart for greater sacrifice? What sacrifice is God calling me to in order to be more consecrated to his purpose? 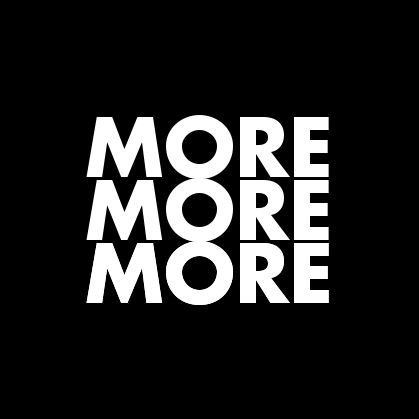 I earnestly desire to be more Christ-like, but this “Year of More” is looking MORE difficult by the day. Perhaps I should have been LESS bold in proclaiming it so. Where is God challenging you to be more Christ-like? I’d love to hear your comments below. There is a phrase in Psalm 46: 10 that is virtually identical in every English translation of the Bible: “Be still, and know that I am God!” Ancient or modern, the Psalmist reminds us of how necessary it is for us to be still if we’ll experience God in the deep places of our being. It’s also a good reminder as we begin a new year to be still as we reflect on all that has happened in 2018, and look with anticipation to all the opportunities God has for us in 2019. 2018 was, for me, a year of learning. It was, in some ways, a great year. It was, in some other ways, a bad year, but it was, good or bad, another year in which the faithful mercies and grace of God sustained me. I know you could say the same thing, too. Whether your year was filled with celebration, or mourning, or both, God sustained you, and that is reason to celebrate, and if you’re like me, you’ve learned a few lessons along the way. I’m going to do all I can to allow the lessons of 2018 be a bridge that joins my past with my future, for no matter what happened in 2008, January 1st, 2019, reminds me that I have a new opportunity—I begin with a New Year. We cannot deny anything that happened in the past. That would be foolishness. We can, however, learn its lessons as we look ahead to order our life in the New Year. What are some of the lessons I’ve learned? The first is not actually a new lesson. I should say I’ve re-learned that I’m a “glass half empty” kind of guy. I’ve learned that I’m impatient, and that I need to be willing to admit it. I’ve learned I don’t like rules and regulations (does that make me a rebel?). I’ve learned that I tend to be impulsive. I’ve learned I often assume too much, and I’ve learned that all these characteristics cost me dearly, and in costing me, they cost others around me. I regret that my shortcomings impacted others. The reality is I can’t change anything that has happened in 2018. But I do have a new opportunity to change the attitudes that caused so many of the regrets. Unfortunately, I can’t change my attitude. Oh, I can resolve to change my attitude, but like so many resolutions of the past, that one, too, will soon go by the wayside. What I can do, though, is bring my attitude to the cross of Jesus Christ, and say, “Here is my attitude, Lord. It is poor, and it has cost me and those I love. Take it, crucify it here, and by your grace, transform me.” He does the work in me that I am unable to do in myself. That is the only way I will ever change. That brings me to the greatest lesson I’ve learned this year. Oh, I knew it, but I had to be reminded—to be like Him, I have to spend time with Him. My attitude is often so poor because I don’t spend enough time nurturing my relationship with Him. It’s easy to lose my spiritual connection. I become so busy with work (yes, folks, ministry is work) that I had fail to maintain an intimate relationship with the God who died for me and called me to His wonderful salvation. I have learned I have to be still, and know that He is God. So, I resolve to do that more–lean into His embrace–to be still. Then, I might know that He is God. I resolve to be still more. I resolve to serve more. I resolve to write more. I resolve to love more. I resolve to sleep more. Perhaps those are enough resolutions for one year. After all, I don’t want to get to the end of 2019 and look back only to have learned the same lessons over again. That would be a wasted year, wouldn’t it? How about you? 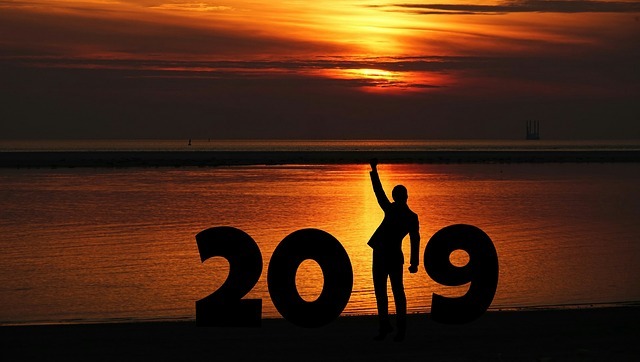 What will 2019 bring for you? I invite you to leave your comments below.